The car breaks down in the middle of the night with Jason, Amy and their dog Chip. They look for help in a nearby house, but a strange butler opens the door saying that nothing is what it looks like. At this crazy mansion, anything can happen, careful when you enter. Get 3 or more symbols from Jack in the Box on the reels to activate the free spins. If you get the crazy host symbol on lines 1, 2 or 3, it will unleash the option to get instant credits, the host will jump out of the screen and will give you 3 options to click on, choose one and get the maximum number of credits. 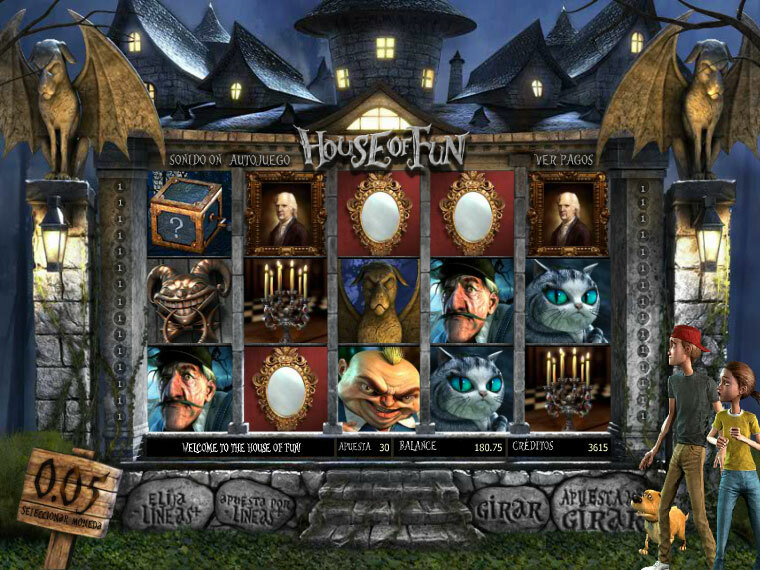 Get 3 or more symbols of the terror handle to activate the second bonus screen. 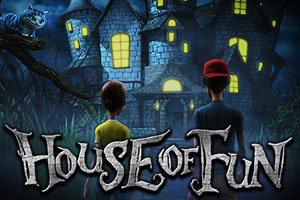 Help Amy, Jason and Chip escape from the house of fun choosing the appropriate door and tons of credits.